Apologies for my ‘I’m so totally unimpressed’ look here, I’m still attempting the ‘I’m a model and I’m werkin it baby’ look that so many beautiful bloggers pull off! I know how controversial these tee’s are but I think they’re just a bit of fun and I loved them when they first arrived in Topshop, but I’m very glad I waited because Primark soon bought them in for a lot cheaper (of course!). I’m considering never buying anything again from shops like Topshop and Zara until it comes into Primark, ha! They’re cheap and cheerful and can be easily styled.. perfect for when I’m being lazy!! 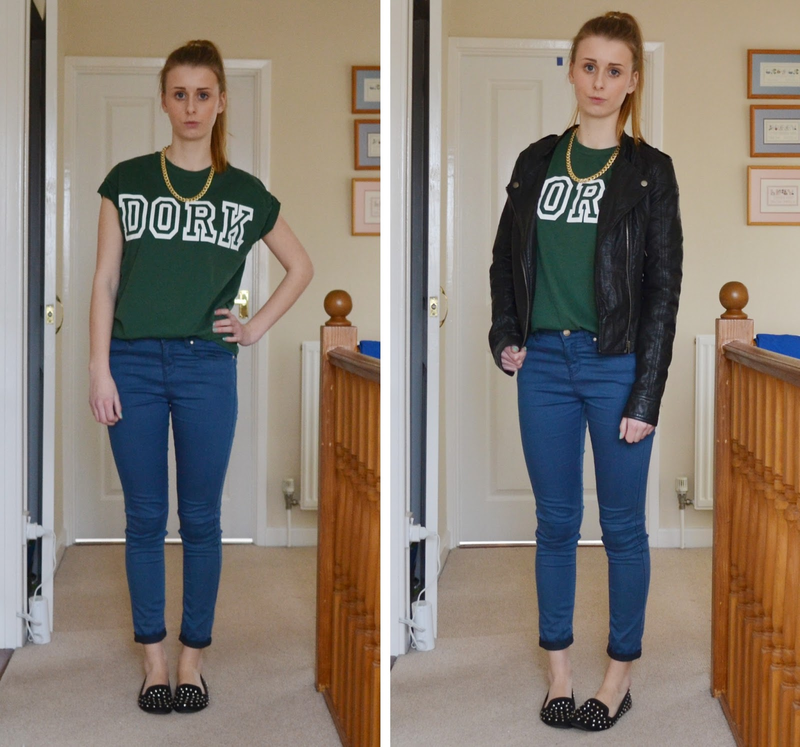 I absolutely love Topshop jeans, and can’t wait to get the Joni ones next winter, hopefully! I’ve never found any that I’ve been happier with. What’s your favourite place to shop for jeans?